This spring will mark the publication's eighth anniversary. 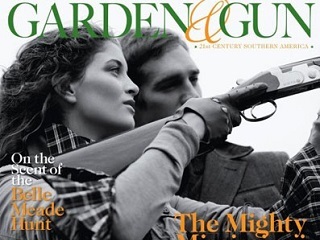 The image on the left is the cover of Garden & Gun’s Spring 2007 debut issue. Eight years later, the Charleston, South Carolina publication shines bright as a beacon in the troubled magazine industry. The staff endured pay cuts, freelance writers and photographers went unpaid for long stretches, Garden & Gun skipped an issue, and there were constant battles with its printer and suppliers. Today, per the sidebar at the top of Wren’s story, it’s a different and entirely robust reader average-household-income story. Charleston’s Garden and Gun Club, the nightclub that gave the magazine its name, is long gone. 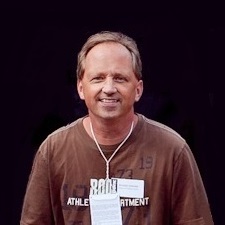 But the magazine, with four dozen full-time employees, is solidly entrenched in the city and scheduled to move this summer to a fully renovated 21,000 square foot HQ. Happy eighth anniversary! P.S. Images of guns have been greatly outpaced on the cover of this national literary magazine by gardens and landscapes, appearing only twice. And speaking of images, kudos to current EIC David DiBenedetto for his current Executive Team photo, which depicts him with his pet Boykin spaniel Pritchard.